Home Sports Who's going to Russia 🇷🇺? Who's going to Russia 🇷🇺? 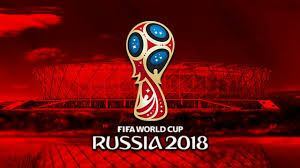 The empty seats of the world cup train seem to have all been filled up now as the African qualifying, European playoffs and two intercontinental playoffs are taken during the November international break to produce a fine sieved flour of teams who will fix their gaze on the stellar price when the world’s must prestigious tournament take center stage in Russia come 2018. It’s quite tough though, that it’s now as clear as a sapphire that the world cup showpiece will be without some of the world’s giant teams like Netherlands, South American champions Chile and lately, four time winner Italy conjured to a conspiracy theory in a goalless draw to Sweden yesterday which means the Azzuri will only wave reluctantly when the train jerk in to action and luxuriously zoom off to Russia. As it would’ve been a little less tolerable, Argentina’s messiah Lionel Messi stepped forward to historically to score a hat trick that would seal a world cup spot for the El celestes just in the teeth of disaster back in October. Here, KGSPORTS24.com brings the complete list of teams who’re on board with their tickets handy, ready for Russia.